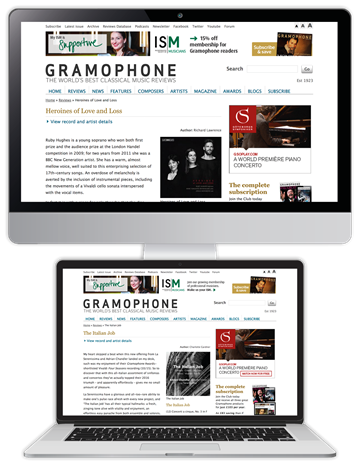 With its unrivalled, international and objective panel of expert reviews, Gramophone truly is the magazine for the classical collector, as well as for the enthusiast starting a voyage of discovery. 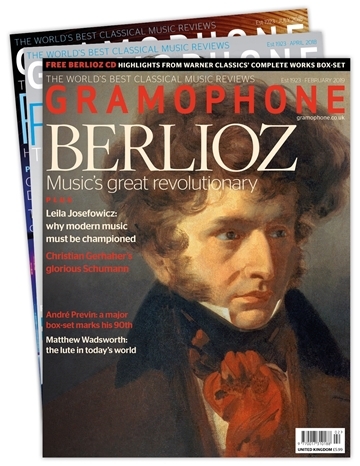 For over 90 years Gramophone has been the world's leading authority on classical music. Every issue is packed with over 100 reviews of the latest downloads, CDs, DVDs, and books all written by our eminent and knowledgeable panel of independent experts. 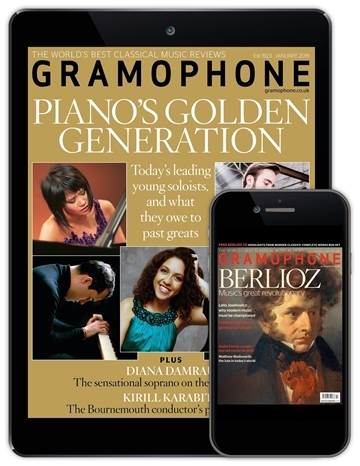 Pick your preferred subscription package below, and use promo code TS20 at the checkout to receive 20% off on any direct debit or single year subscription. *Price based on an annual rate of £67.00 (Print only, Digital only, Reviews only). Overseas print orders will incur an additional P+P charge. Full annual retail price for print only (13 issues) is £77.87. Please note discount does not apply to multi-year subscriptions.